Designers have all been there: agonizing over the perfect colors to represent a brand, add spice to a logo or help communicate a company’s vision. Choosing color that is unusually fresh and also relevant can be complicated, made even more so by then having to support those choices. So, how can we make our color choices more than just personal preference? Context is the assembly of those things that surround an event or statement that influence the overall meaning or effect – those things that help define or aid in understanding. It makes sense then that color can add context to what we as designers are communicating. For example, orange can communicate a playful, happy, youthful vibe – or – it can also represent utility, attention, and safety. Red can mean love, passion, spicy and hot; alternatively, it can be read as stop, danger, and anger. Blue can be fresh, open, expansive and calm, yet also interpreted as boring, cold, depressed and clammy. Color Physics – Color needs an object, a light source, and an observer. What is your object? In what light is the object sold or displayed? How does your client perceive the suggested color under its light source? Color and Culture – Color is used widely to help identify and celebrate groups, religions, conventions, states and holidays. What are the cultural implications of your chosen color? Color Psychology – Color can send varied messages, depending on its environment. What kind of messages do your color choices send? Color Fads, Trends, and Cycles – Emerging consumer behaviors are divided into cycles, trends, and fads. Cycles are more predictable and longer lasting than trends, but trends far outlast here-today-gone-tomorrow fads. Fair warning: if you select colors solely based on current trends, you will always be a trend follower and never a leader. 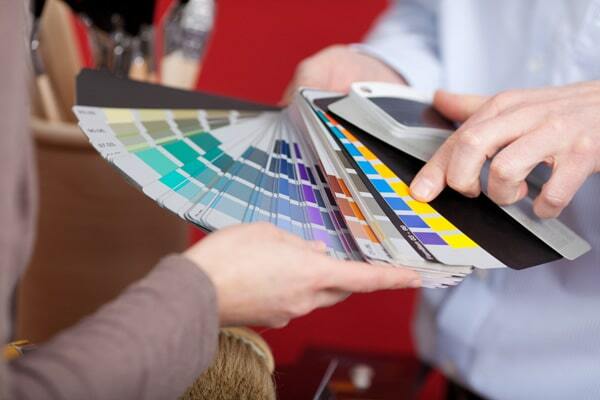 Color Influences and Forecasting – Current events motivate consumer behaviors and purchasing decisions. How are the larger cultural, historical and environmental movements shaping the choices and preferences of tomorrow? Color is a very persuasive creative tool – it has a significant impact on consumer judgment, making their preferences in packaging and brands easier to recognize and respond to. Take the time to be thoughtful as you select your color palette, and make sure you aren’t fighting against color context. By doing so, it will help ensure a successful color strategy and effective communication of your brand personality.